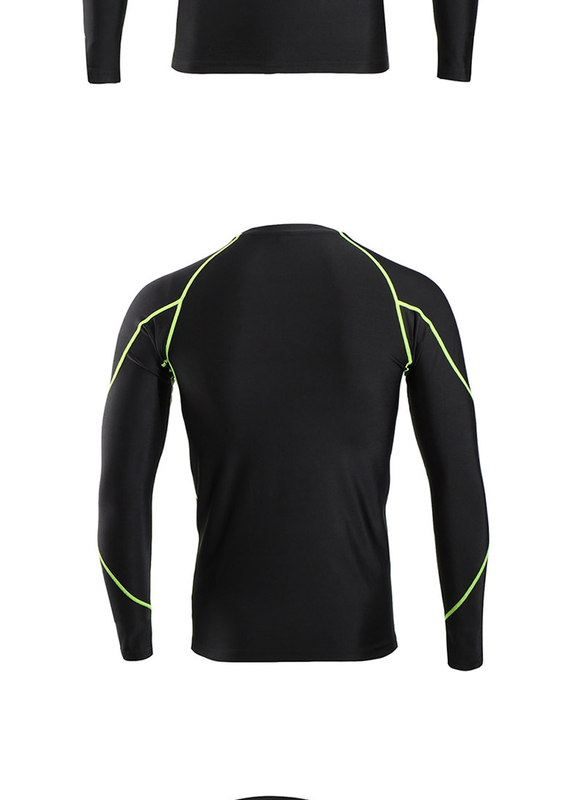 4-way stretch fabric, grab your muscles tightly, and peovide better performance for your activities. 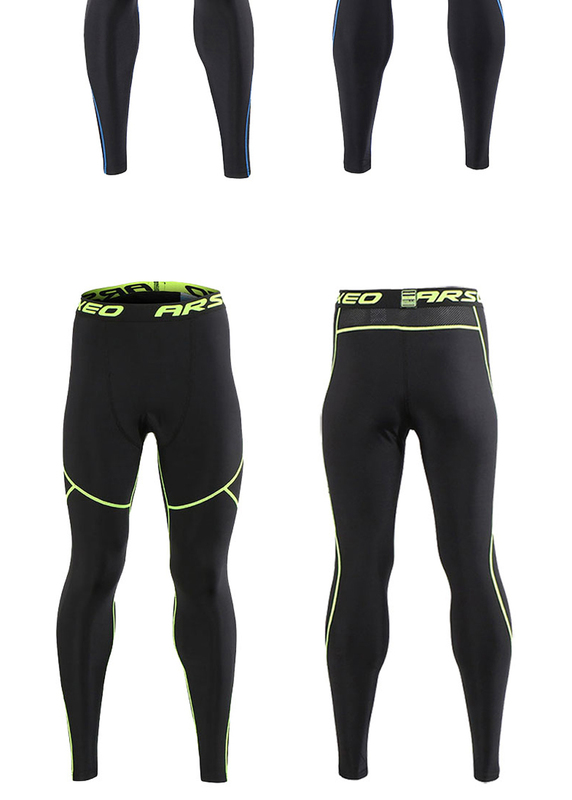 Highly elastic, so that you can extend your body better while exercise. 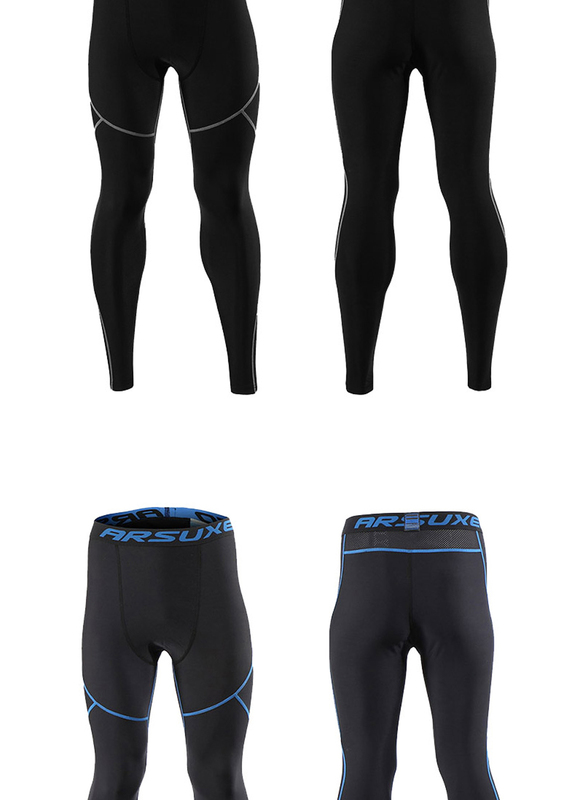 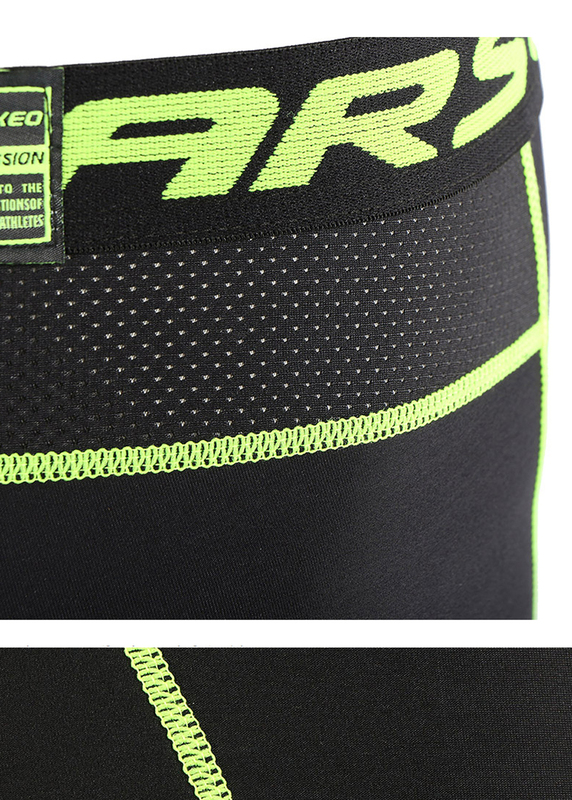 Mesh fabric on waist, can get rid of your sweat quickly, keep your body dry. 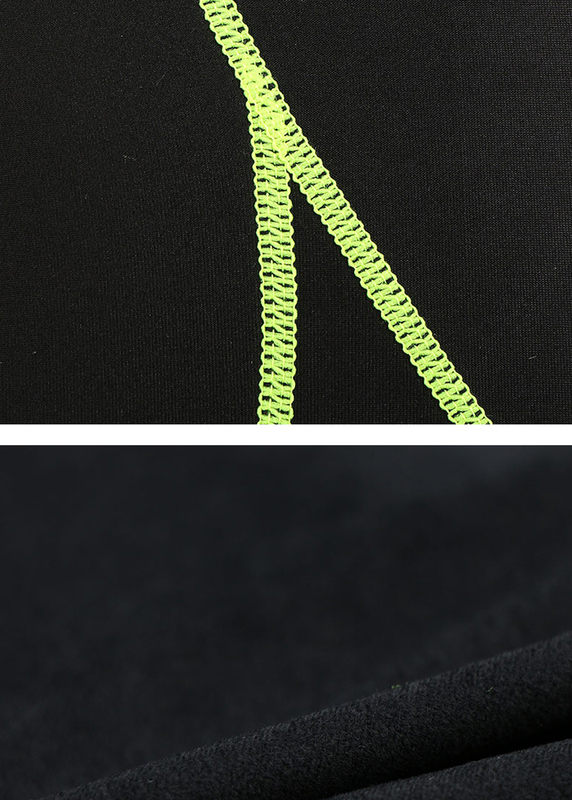 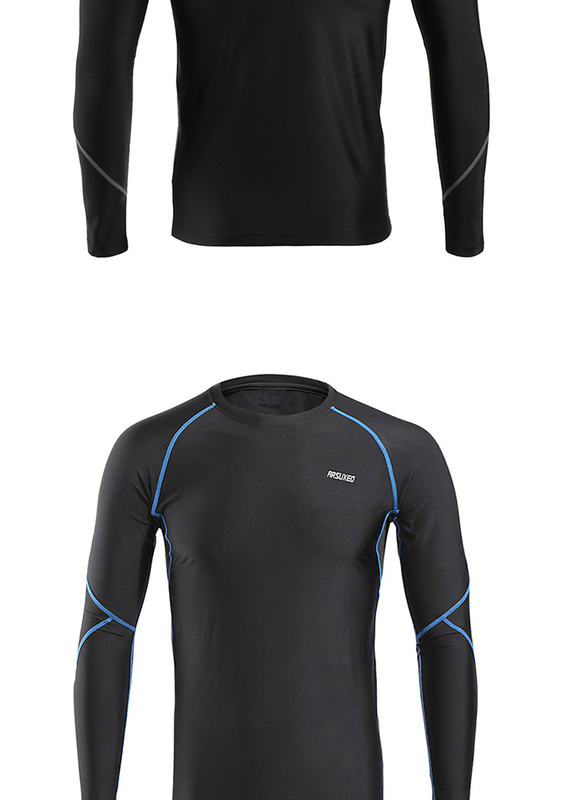 Ultra-soft and inside of material is fleece fabric, can keep you warm up all the time. 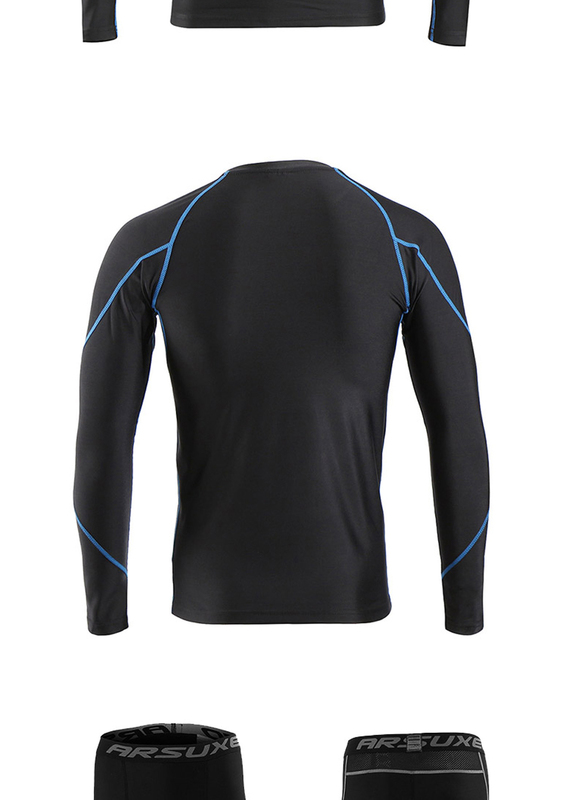 With breathable and quick dry function. 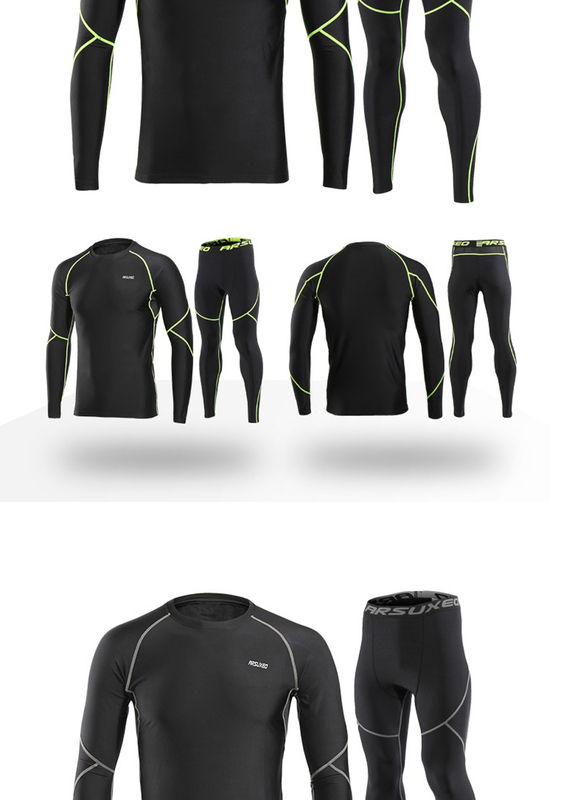 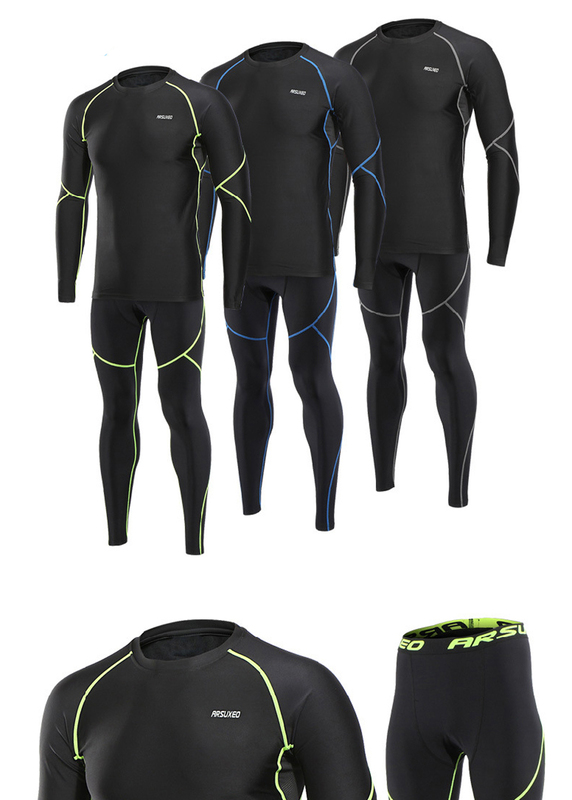 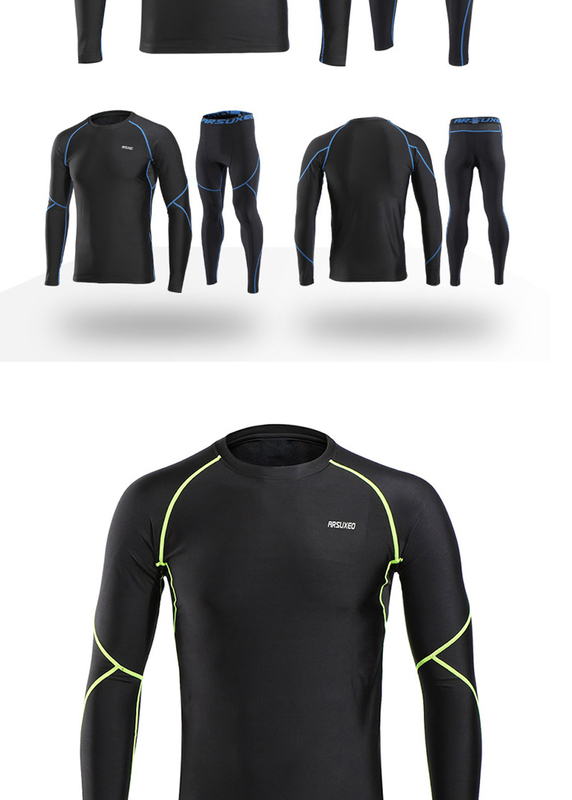 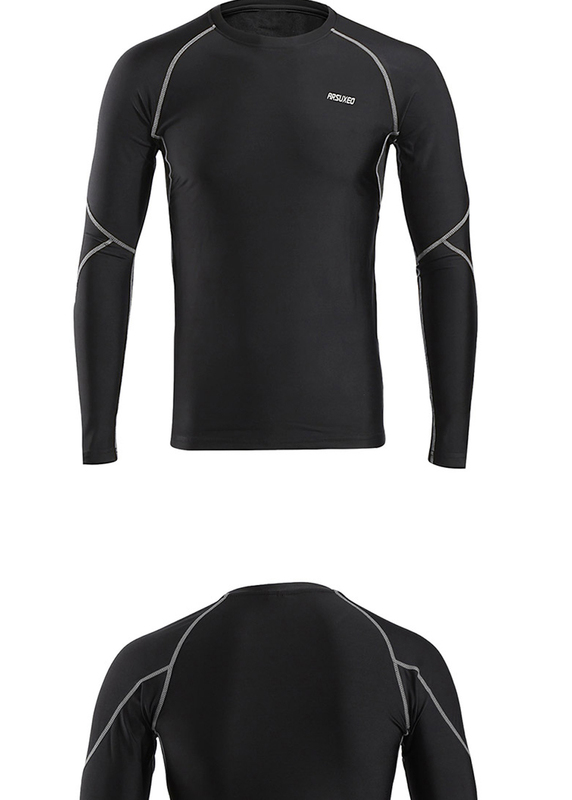 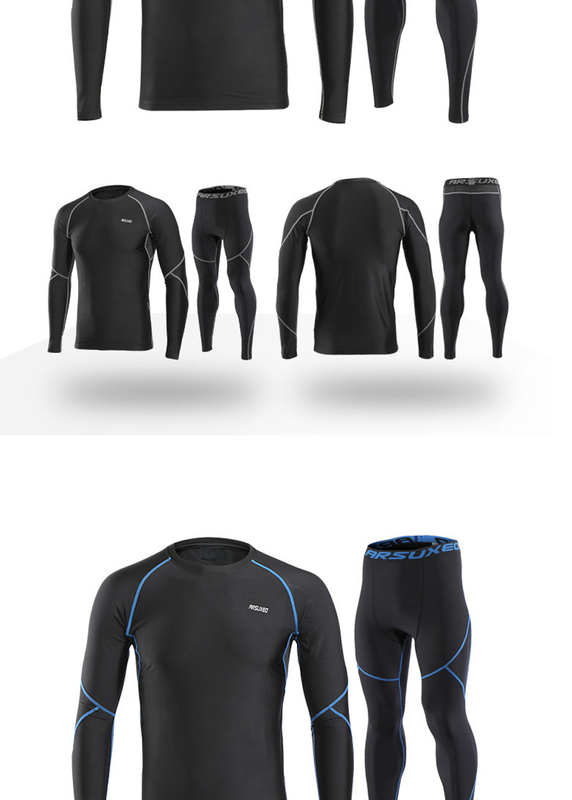 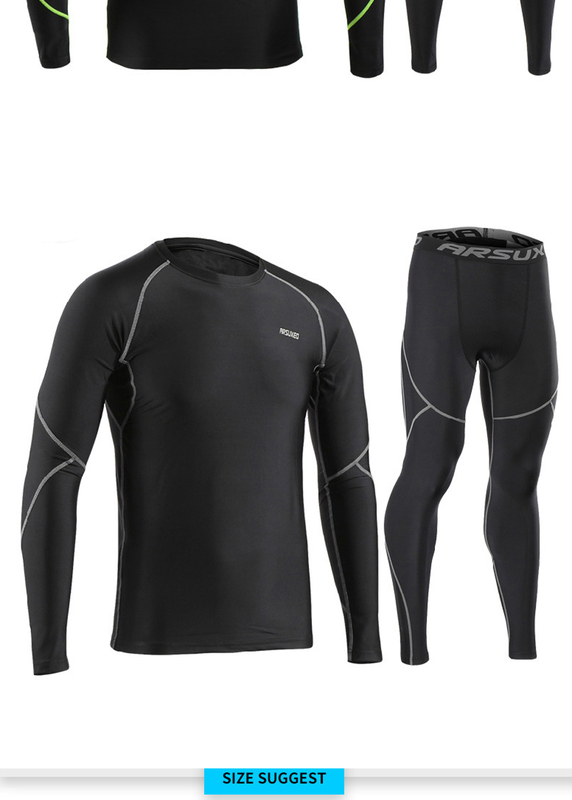 This base layer sets is good for all kinds of sports during cold weather such as cycling, running, football, basketball, soccer, skilling, hiking and etc. 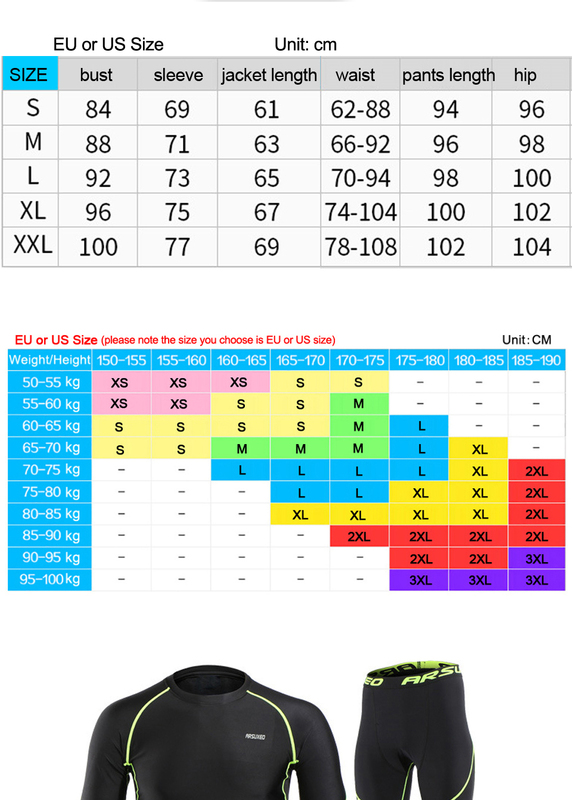 Please note the size your order is EU or US size.